Dedicated to my father, Joel C Breslauer (z”l), who passed away 25th Tishrei 5767 – As my Dad has always practiced, may Rav Twerski’s essay inspire us to be better human beings and help change our world. Keith M. Breslauer. 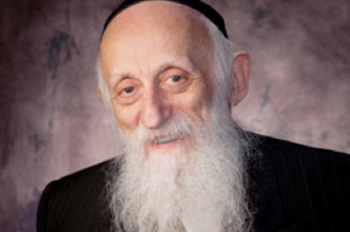 Rabbi Dr Abraham Twerski is descended from distinguished rabbinic ancestry. He is a resident psychiatrist and an Associate Professor of Psychiatry. A prolific author, he has written more than 50 books on topics such as stress, self esteem, spirituality, drug and alcohol dependency. He appears regularly as a radio and television guest. Click here for today’s parallel essay from Rabbi Noah Weinberg. Adolf Hitler appointed German Chancellor. Adolf Hitler – 20 April 1889 – 30 April 1945) was an Austrian-born German politician and the leader of the Nazi Party (German: Nationalsozialistische Deutsche Arbeiterpartei (NSDAP); National Socialist German Workers Party). He was chancellor of Germany from 1933 to 1945 and dictator of Nazi Germany (as Führer und Reichskanzler) from 1934 to 1945. Hitler was at the centre of Nazi Germany, World War II in Europe, and the Holocaust. Rabbi Twerski ends his essay ‘We develop those traits that are the hallmark of a human being, the spiritual traits that elevate him above the level of Homo sapiens’. In this clip we can see a remarkable human achieving things one would think impossible.